NFC (near field communication) technology is a great way to interact wirelessly with projects. 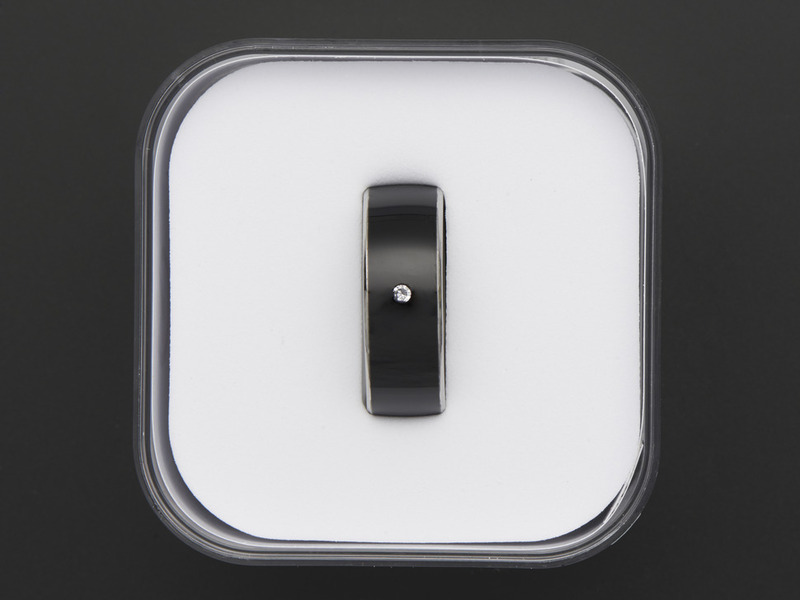 With the RFID/NFC Smart Ring your ring can communicate with your smart phone/tablet, computer, or much more! 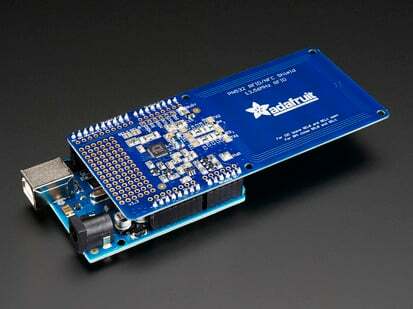 Contains two MiFare Ultralight C - NTAG 213's with 144 bytes of read/write memory. One is on the 'inside' of the ring towards the palm, the other is underneath the jewel. You can use tags to launch apps, unlock your phone, transmit a URL, control an Arduino, etc. 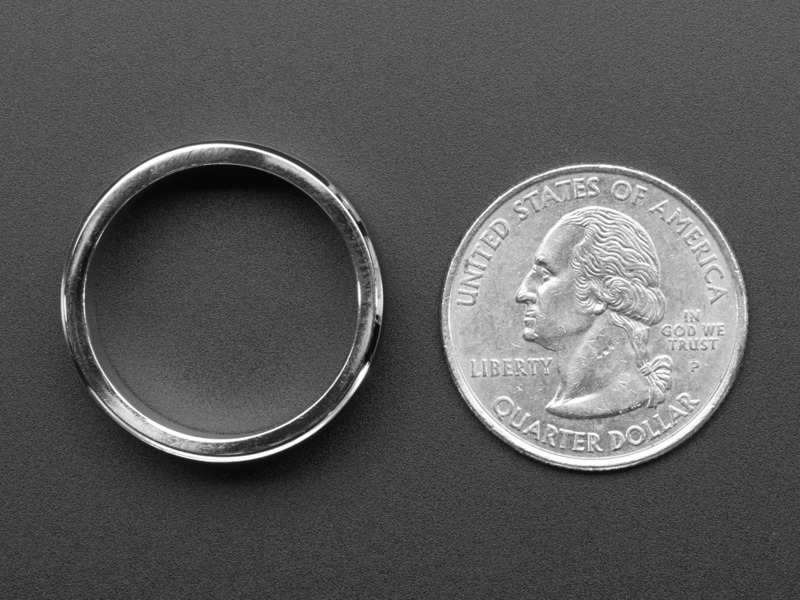 This is RFID/RFID Smart Ring with an 21mm Inner Diameter. We have a bunch of sizes in the store! Inner Diameter: 20.6mm / 0.83"
Outer Diameter: 25.4mm / 1"